Achieving over one million downloads, the wildly popular MD Practice Driving Test is a free and convenient tool to prepare future drivers for the knowledge test. Annapolis, MD – The Maryland Department of Transportation Motor Vehicle Administration’s (MDOT MVA) mobile MD Practice Driving Test, was recently honored with a 2016 Gold Horizon Interactive Award in the Mobile Apps for Education category. Winners of the Horizon Award are recognized world-wide on a global stage as the top designers and developers of websites, mobile apps, videos, and more. Now in its 15th season, The Horizon Interactive Awards has become one of the most prestigious awards in the field of interactive and creative media. The international competition recognizes outstanding execution of industry trends and those who are able to stay on the cutting edge of technology while maintaining a high bar for interactive design. This year there were over 1200 entries from around the world including 40 of the 50 United States and 20 countries including : Australia, Bangladesh, Canada, Germany, Greenland, Hong Kong, Ireland, Italy, Malaysia, Portugal, Qatar, Russia, Singapore, Spain, Sri Lanka, Taiwan, Turkey, UK, Ukraine, and Uruguay. Achieving over one million downloads, the wildly popular Maryland Practice Driving Test is a free and convenient tool to prepare future drivers for the knowledge test required to obtain a Maryland driver’s license. The mobile app generates a random series of 25 questions in either English or Spanish. Users can repeat the test as often as they like. The app also integrates with social media channels, providing users the option to post scores to Facebook and Twitter or email scores to parents and friends. 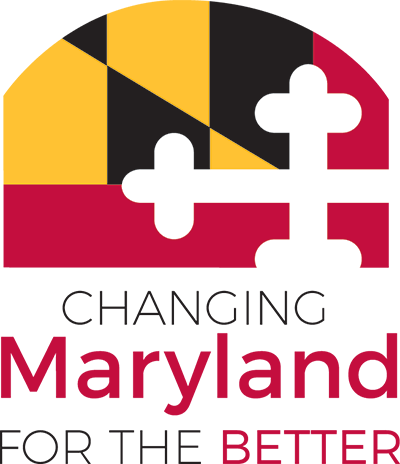 The Maryland Practice Driving Test mobile apps are available to download for free, on the iTunes and Google Play app stores. They can also be accessed through the state’s official website, www.Maryland.gov or MDOT MVA’s website, http://www.mva.maryland.gov/mobile/. The Maryland Practice Driving Test mobile apps were developed at no cost for MDOT MVA by NIC Inc., through the self-funded digital government services contract with the State Department of Information Technology (DoIT). NIC Maryland builds, operates, maintains, and markets the official website of the state of Maryland, www.maryland.gov and its digital government services. NIC Maryland is a collaborative public/private partnership managed by the Department of Information Technology (DoIT) and NIC Maryland. NIC Maryland helps Maryland state and local government entities web-enable their services and operates without tax funds through a self-funded digital government services contract. NIC Maryland has developed over 100 of digital government products and services for the state of Maryland since the contract was awarded in August 2011. Founded in 1992, NIC Inc. (NASDQ: EGOV) is celebrating 25 years as the nation’s premier provider of innovative digital government solutions and secure payment processing, which help make government interactions more accessible for everyone through technology. The family of NIC companies has developed a library of more than 13,000 digital government services for more than 5,500 federal, state, and local government agencies. Among these solutions is the ground-breaking digital government personal assistant, Gov2Go, delivering citizens personalized reminders and a single access point for government interactions. More information is available at www.egov.com.